This is the question Ballantine’s Scotch whisky is asking people around the world with the launch of a new website that allows individuals to see what the images they share of themselves online says about them to others. As soon as others begin leaving their opinions, the person whose image has been uploaded is notified and will be able to view the most common “impressions” that their image has left, ultimately seeing whether the way that others perceive them is in line with the way they see themself. However, through ‘Are You Your Selfie?’, Ballantine’s aims to encourage people to express themselves in a way that is both genuine and authentic. It hopes to establish how true people are really being with their personal portraits, and whether others see them in the same light. Peter Moore, Global Brand Director for Ballantine’s, said: “Given the current trend for selfies amongst the millennial generation, we hope that this exciting initiative will stimulate conversation amongst Ballantine’s fans online and provoke them to think about whether they are presenting a true reflection of themselves when they share photos online. 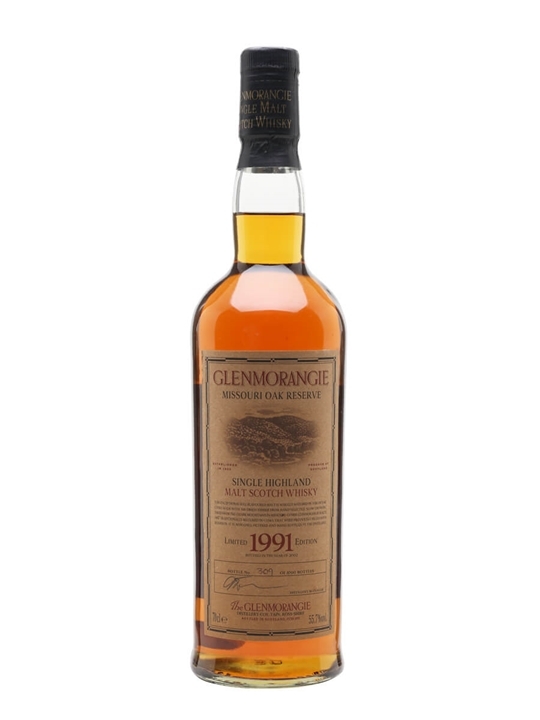 70cl / 55.7% / Distillery Bottling – A 1991 vintage Glenmorangie produced as part of one of their successful experiments with interesting wood. This was matured in new oak from Missouri in the USA and has a bourbony tang in addition to the regular Glenmorangie character. Lost Distilleries Blend Wins World’s Best Blended Whisky Award! ‘The Lost Distilleries Blend’ has received top honours winning the award for the World’s Best Blended Whisky at the recent Whisky Magazine World Whiskies Awards. This marks the first World Whiskies Awards win for The Blended Whisky Company and for ‘The Lost Distilleries Blend’. 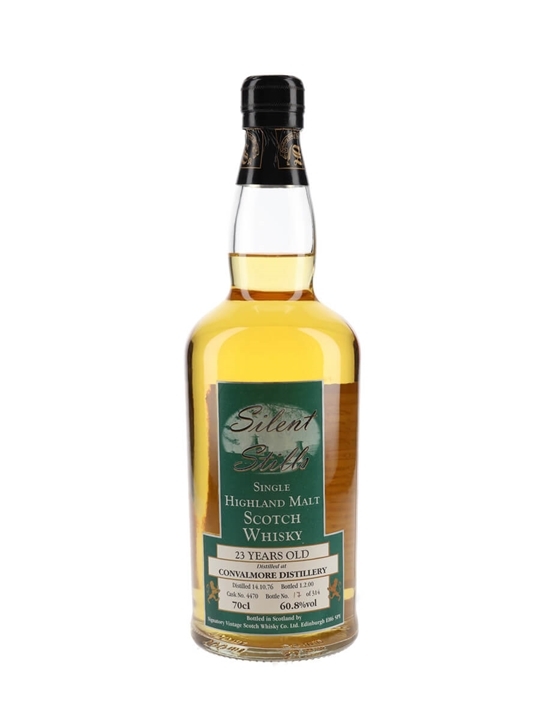 ‘The Lost Distilleries Blend’ is a supremely complex and elegant Blended Scotch Whisky made exclusively from spirit distilled at now silent distilleries. 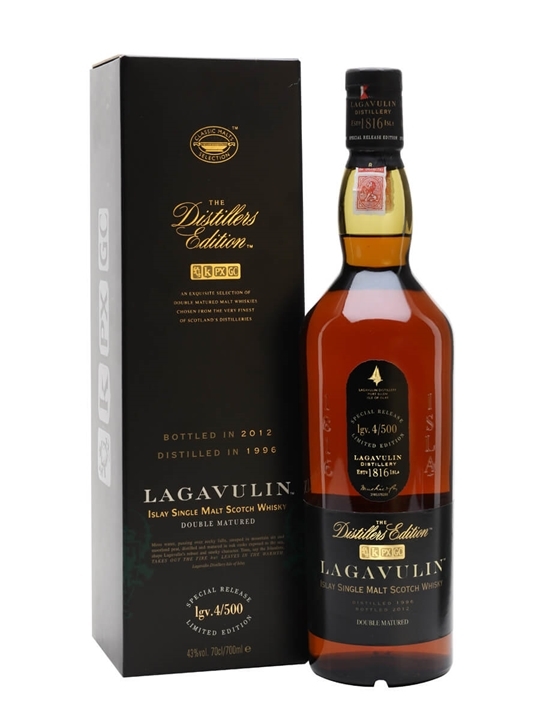 It is available exclusively from Master Of Malt. For the past eight years, whisky giant Suntory has taken the top honours six times in the World’s Best Blended Whisky category, winning four times with Hibiki 12 Year Old and twice with Hibiki 30 Year Old. More than 300 whiskies were entered into the competition, and each whisky is sampled and judged by a panel of impartial whisky authorities from the fields of journalism, distilling, blending, ambassadorship and retailing. The Lost Distilleries Label Says It All! Nose: Remarkably complex with orchard fruit, sultana and a little sea breeze that develops into fragrant spice and some papaya. There’s a hint of tarragon too, shiny red apple skins polished with a chamois leather, lemon slices and plenty of crème brûlée. Palate: Immediately attention grabbing with exquisite, creamy mouthfeel. There is stunning interplay and great balance between rich, sweet malt and satisfying oak, as well as tropical fruit and more glorious red apple. Islay peat adds further interest and some perfectly measured cigar box character. Finish: Very long, apple lovingly caramelised in golden sugar eventually gives up its stage to a delicate wisp of smoke that dances teasingly before finally taking a bow. Overall: A simply incredible blend of truly historic whiskies. Complex, perfectly balanced and exciting throughout. Barry Crockett, former Master Distiller at the Midleton Distillery, has become the 17th inductee into the Whisky Magazine Hall of Fame. Barry was recognised for his contribution to the growth of the Irish Whiskey category during his 47 year career with Irish Distillers. The Award was made by ex-editor of Whisky Magazine, Rob Allanson, at their annual awards ceremony in London. Rob praised Barry for “redefining Irish whiskey by combining technology, innovation, and craftsmanship with a deep sense of history” and overseeing operations at Midleton during “some of the most eventful times in Irish whiskey’s history”. Irish Distillers, the owners of Midleton Distillery, also won ‘Whisky Distiller of the Year’ for the third year running and ‘Whisky Visitor Attraction of the Year’ for the Old Jameson Distillery in Dublin. Final tasting results for the World Whiskies Awards were also revealed, with Redbreast 15 Year Old scooping ‘World’s Best Irish Pot Still’. This follows a historical medal win at New York’s Ultimate Spirits Challenge earlier this month, with Redbreast 21 Year Old awarded the Chairman’s Trophy in the Irish Pot Still Whiskey category. With an amazing perfect 100 score, Redbreast 21 Year Old became the first Irish whiskey to achieve this feat and is the only spirit from any category to do so this year – it also marks the fifth consecutive year that a Redbreast expression has received the top Irish Pot Still Whiskey score. 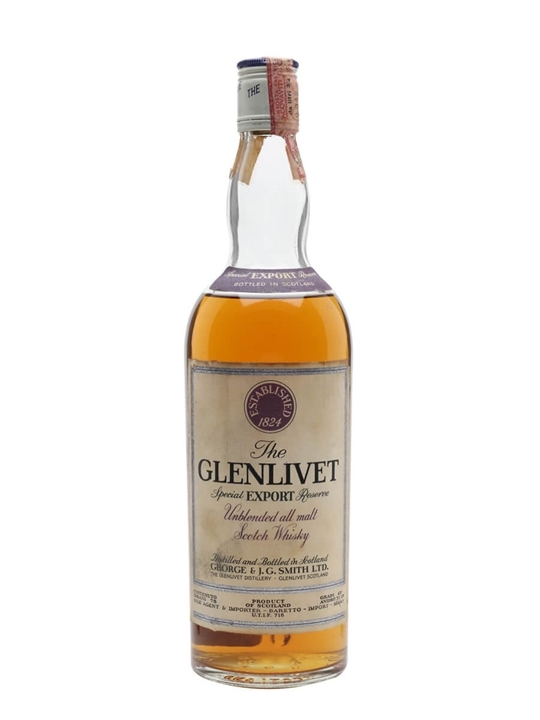 75cl / 43% / Distillery Bottling – A special reserve Glenlivet bottled at 43% in the 1970s for the Italian market. New Dalmore, Glenglassaugh & Old Pulteney Whiskies From Edencrofts! Some serious quality malts this week from Edencrofts! They have 7 New additions to their range with a selection of Highlands and Speyside malts. Malts of this stature don’t come around every day! Summary: A HEROIC PAST. In 1263, an ancestor of Clan Mackenzie saved King Alexander III from being gored by a stag whilst out hunting. The grateful King granted him the right to bear a stag’s head in his coat of arms. The Dalmore Distillery was long owned by The Mackenzie family and every bottle of single malt whisky from our Highland distillery was, and is, adorned with this proud emblem, symbolising the supremacy of The Dalmore. SUPPORTING CASTLE LEOD TODAY. This limited edition bottling celebrates the ancient and historic seat of Clan Mackenzie and is the second in a series crafted by Master Distiller Richard Paterson in homage to Clan Mackenzie. After all, it was the vision of the Mackenzie brothers in 1839 that laid the foundation for the distillerys monumental success. Located just 14 miles from The Dalmore Distillery. Castle Leod has been home to the Cabarfeidh, Chief of the Clan Mackenzie, since 1606 and is one of the few castles in Scotland still lived in and owned by direct descendents. It is in honour of one of Scotlandss great landmarks that The Dalmore commissioned the painting that graces this exceptional single malt. Fittingly, a proportion of the proceeds from its sale will go towards the upkeep of Castle Leod. A MESSAGE FROM CABARFEIDH. “I’m honoured that Richard Paterson has created this extraordinary single malt in tribute to Castle Leod, the Mackenzie Clan’s spiritual home. Our Castle has stood the test of time, and I have no doubt that, in years to come, The Dalmore Castle Leod will equally be recognised as a tomeless classic.” Cabarfeidh, The Earl of Cromartie, Chief of the Clan Mackenzie. A TASTE TO REMEMBER. “The joyful effervescence of fleshy plums, raisins and citrus fruits are followed by the silky tones of kiwi fruit, honey, caramelised almonds, spicy ginger, chewy toffee and soft liquorice brings this cornucopia of delights to a perfect conclusion. Matured initially in American white oak and Spanish sherry wood, and then transferred for a final 18 months to barriques from a legendary 1st cru Classé Bordeaux chateau. An Exceptional single malt of inimitable finesse.” Richard Paterson, Master Distiller. Summary: This single Speyside Malt Scotch Whisky was distilled at a distillery on Speyside. It has been matured in Gordon & MacPhails own selected oak casks at their distillery and in their own cask warehouses in Elgin. It was bottled in the City and Royal Burgh of Elgin, Scotland. Nose: Sherry with hints of vanilla and an earthy spiciness. Palate: Smoky with rich fruitcake flavours and a spicy edge. 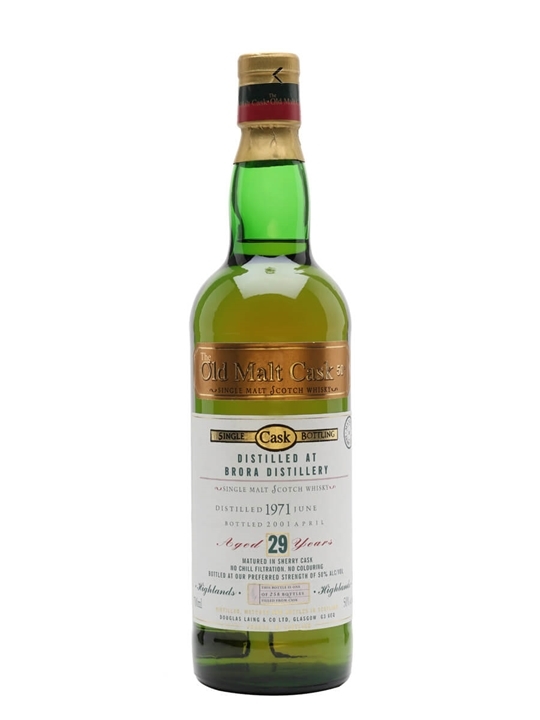 Summary: Cask Formula: Fully matured in refill Oloroso sherry butts. Summary: Cask Formula: Fully matured in ex Tennessee whisky barrels. Nose: A luscious, syrupy combination of sweet barley, delicate pineapple and waves of soft buttery vanilla. Deeper oak spices and caramelised pear develop and warm the nose. 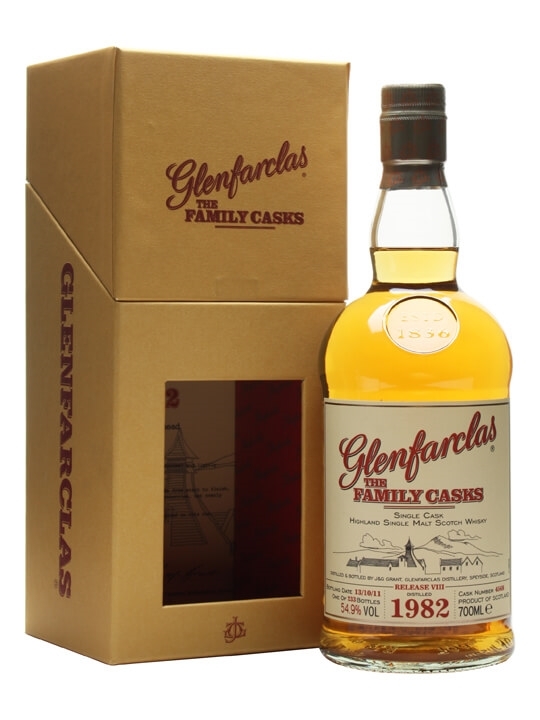 Summary: Cask Formula: Fully matured in ex-bourbon barrels. Peat level is 20 ppm.